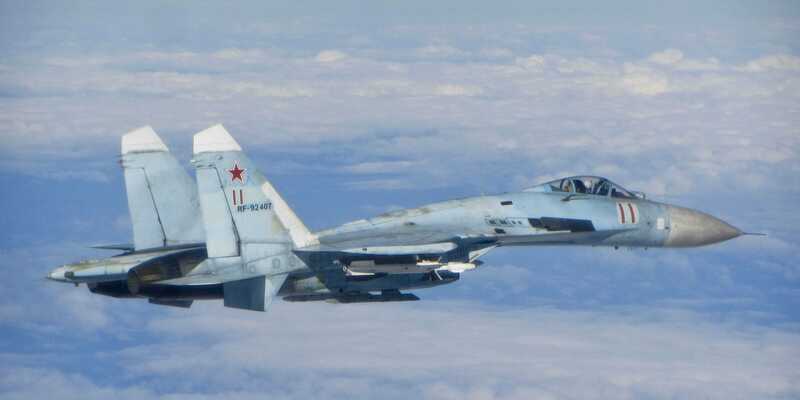 In a continuation of provocative stunts, NATO F-16s were scrambled to intercept a Russian Su-27 fighter jet over the Baltic Sea on Monday. The Russian fighter plane was intercepted by NATO Baltic Air Policing quick reaction alert F-16s as it approached Latvian territorial waters. NATO Baltic Air Policing QRA F16 jets on 17 NOV scrambled to intercept RU Armed Forces Su-27 over the Baltic Sea. According to the Twitter feed of the Latvian Army, the encounter took place near Latvia’s territorial waters. Russian military affronts have increased rapidly since March. During that time, Russia has launched approximately 40 provocative military demonstrations against the West and NATO. Although most of the provocations are deemed to be routine, based upon past Russian behaviour, the military stunts have become increasingly risky. Three of the 40 events were high-risk incidents that could have easily led to a military confrontation, according to a report from the European Leadership Network (ELN). These high-risk incidents were the near collision of a Swedish commercial airliner with a Russian reconnaissance plane — which wasn’t transmitting its location — over Denmark, the kidnapping of an Estonian intelligence officer along the Russian border, and the hunt for a purported Russian submarine in Swedish waters. The sheer number of Russian military provocations is entirely without precedent. Russia has also struck an increasingly hard-line rhetoric against the West over the past month. The Russian defence minister warned that Moscow would for the first time begin sending long-range bomber patrols to the Gulf of Mexico. At the same time, a Russian convoy of warships appeared off Australia’s northern maritime border. The following map, created by ELN, shows the nearly global scope of confrontations between Russia and Western-aligned nations. A red pin denotes a high-risk encounter, a yellow pin is a serious incident, a blue pin is a routine incident, and green is miscellaneous.